The Osprey Hydraulics Reservoir has long been our favourite hydration pack reservoir. 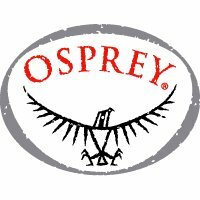 We were therefore intrigued to hear how Osprey had improved on it with this new version with the following updates. Upgrading the reservoir from MPE to TPU plastic, makes it slightly lighter and even more durable. Replacing the screw top with a slide seal opening makes it even easier to access for filling, cleaning and drying. The Pour Shield effectively extends the collar to make the reservoir easier to fill. The plastic back plate and the carry handle make the whole reservoir much stiffer, making it much more portable and easier to fill than a floppy first-generation hydration bladder. The Bite Valve offers fast, smooth water delivery. Litre markings are printed on the reservoir body for convenience. Spare parts availability - both the hose and the bite valve are replaceable - enhance this reservoir's longevity. Its QuickConnect feature makes it easy to disconnect of the hose.